One of our most popular food packaging supplies, Pac Food’s vacuum sealing bags are designed to extend the shelf life of your dry and wet goods. 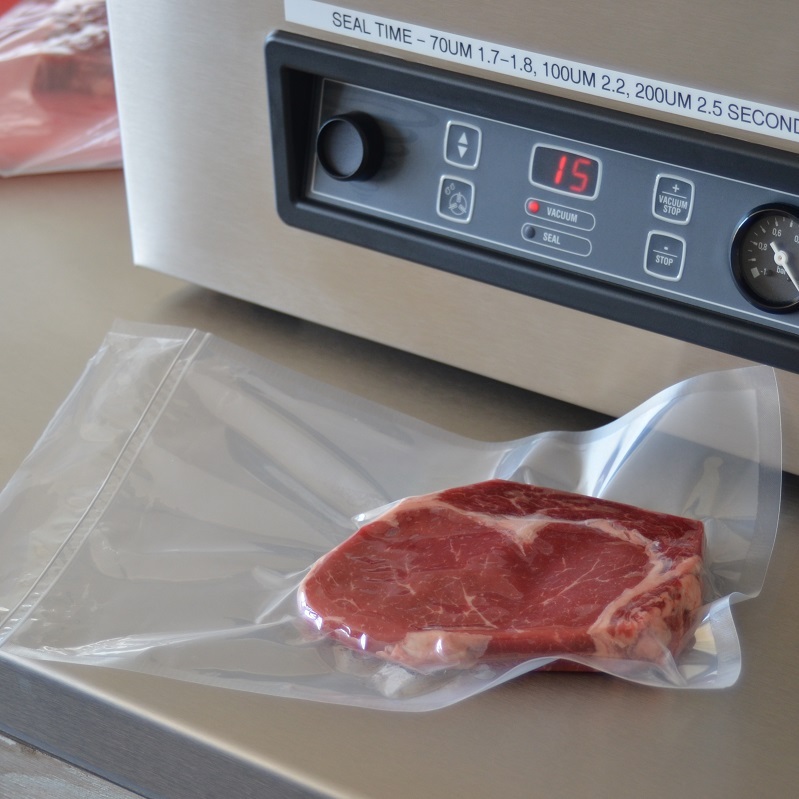 In combination with an “in chamber” vacuum sealer (or commercial vacuum sealer), the oxygen will be removed from inside the bag, which extends the shelf life of your products. Our vacuum sealer pouches are also suitable for gas flushing e.g. if you want to keep salads for a longer period of time. Depending on the shelf life you want or on how sharp your products are, you will need 70 micron bags or thicker. We have 70, 100 and 120 micron bags in stock, available in a variety of different sizes. 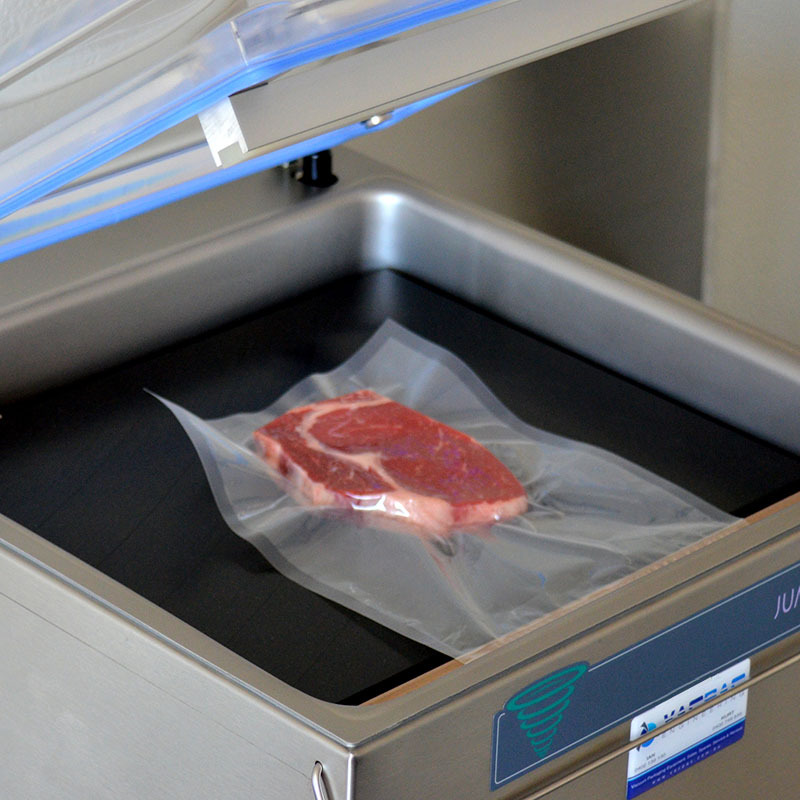 PAC FOOD HAS A LARGE RANGE OF VACUUM SEALER BAGS TO SUIT YOUR APPLICATION. 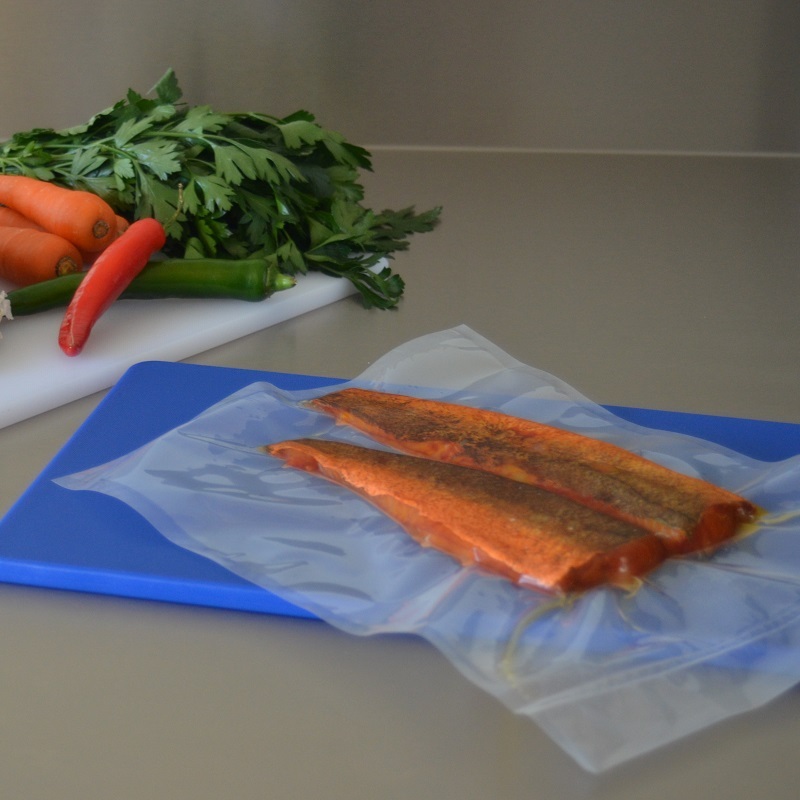 Our 100 micron vacuum seal bags can also be used to “cook in”. Cook meat, poultry and more in our bags; in the oven, for up to 1 hour at 100°C, or in boiling water for up to 1 hour. The same 100 micron vacuum seal pouches are sometimes also used for cook chill, where a shorter shelf life is required. Often, a heat sealer is used to seal the bags in this application. We are proud of our expertise in sous vide and our 70 micron bags are perfect for this slow cooking method. Many top restaurants use our vacuum sealing bags (or sous vide bags) to serve succulent, tender and juicy meals to their valuable customers. Pac Food also stocks Boneguard bags which are an ideal product for all butchers and meat processors. Pac Food customers are very happy with the range of sizes we carry, our prices, service and delivery times so why not give our bags a try? Can’t quite find what you’re after? Make sure you check out our custom food packaging options. 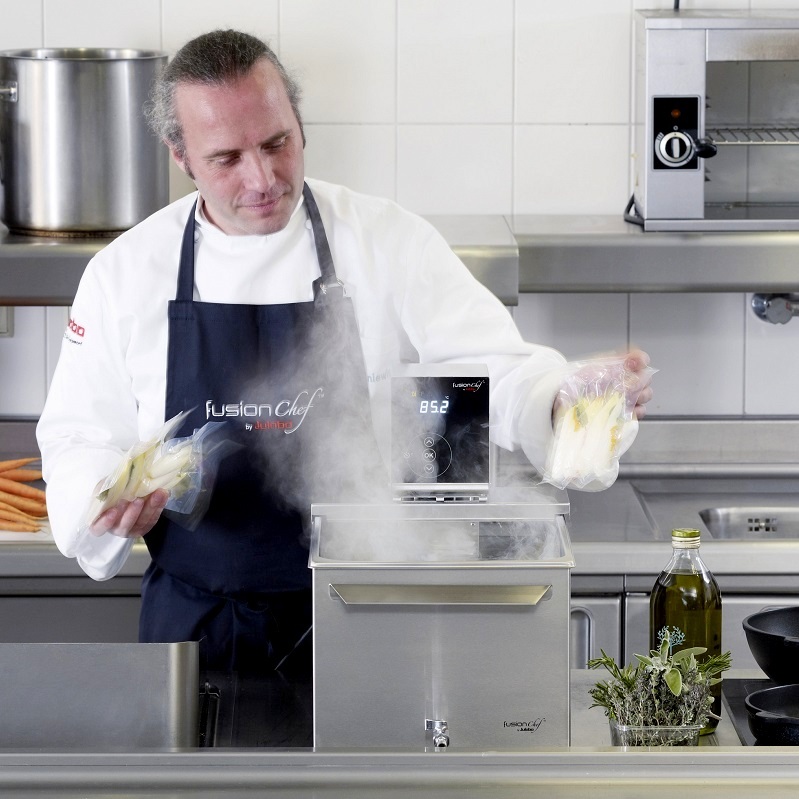 Sous vide is our expertise, please ask us!